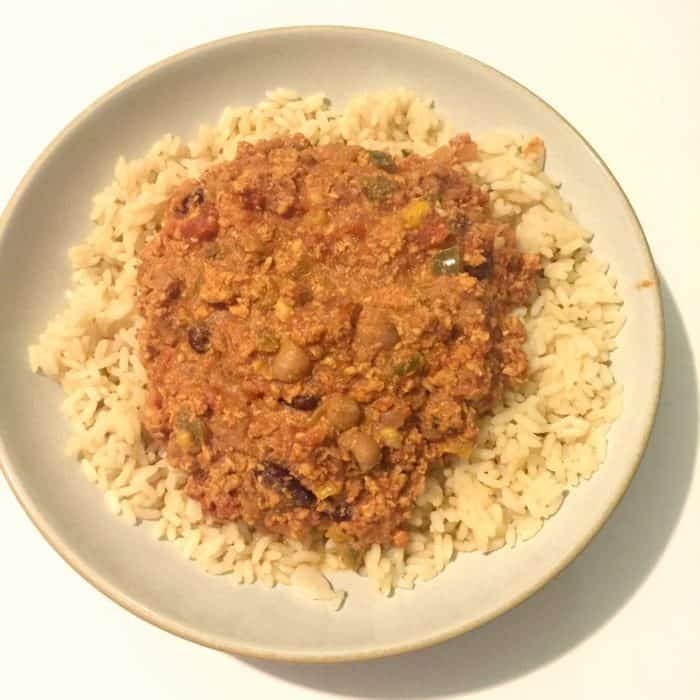 I love chilli but the kids have never been fans of it – that is until I made a change to the recipe I’ve always use and made turkey mince chilli instead of the traditional beef mince variety…. Turkey mince is actually really good for you and is often seen as a healthier version to the more commonly used beef mince but I’ve often just walked past it on the shelf when I’ve been shopping because I thought the only thing it would be nice for was making meatballs or possibly burgers at a push. I bought some last week to make turkey and apple meatballs which is something I do use it to make occasionally but I really couldn’t be bothered with the faff when it came to it so I decided to use it to make chilli instead and I’m really pleased that I did. 1tsp chilli powder or some fresh finely chopped chilli – I’ll leave it to you to decide how spicy you want to go. This type of recipe is the reason that I LOVE my slow cooker – you simply need to add everything to your slow cooker, give it a stir and then turn onto the low setting for anywhere between 6 and 8 hours. 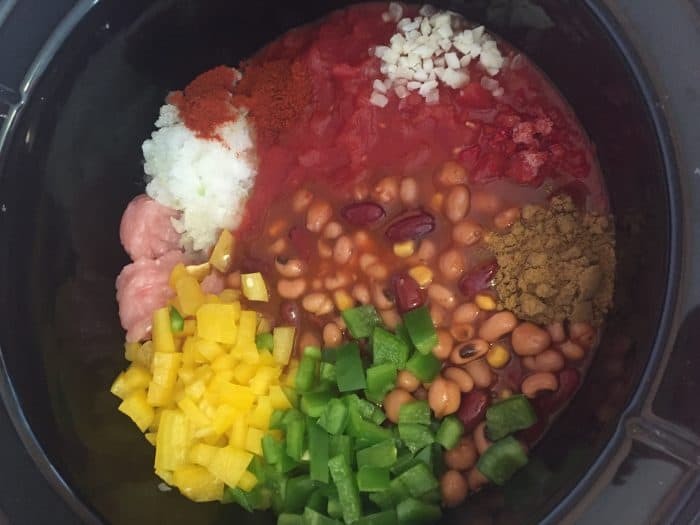 As I mentioned in the ingredients list, I often use a tin of baked beans rather than anything with kidney beans in as we’re not huge fans of kidney beans but the tin of spicy mixed beans that I used had hardly any in there so I went with that simply to use it up and it worked really well! 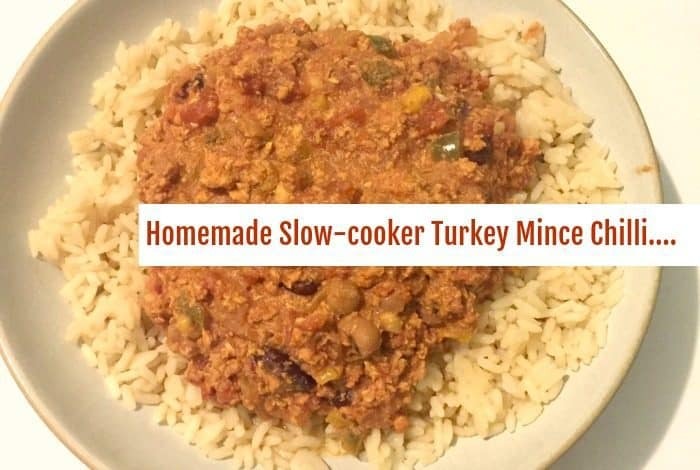 The end result of this easy to make slow-cooker turkey mince chilli is lighter than the traditional chilli and seems to be much more suited to my children’s tastes. Previous Post Homemade Macaroni Cheese….